One of the very fun but nerve-wrecking requirements of my Wholistic Nutrition program is to provide part of a meal for the whole class twice during our program. Four or five students sign up and then work together to come up with a seasonally appropriate, energetically correct and allergen friendly meal. Each person is responsible for bringing one part of the meal. The month of March was one of my times to cook. I have a lot of anxiety around cooking for this group of people because everyone is in the program because they love food and there are many amazing cooks, some of whom have worked in the food industry before. Even though I love providing food for people, I always worry my meager kitchen skills are not up to the task! 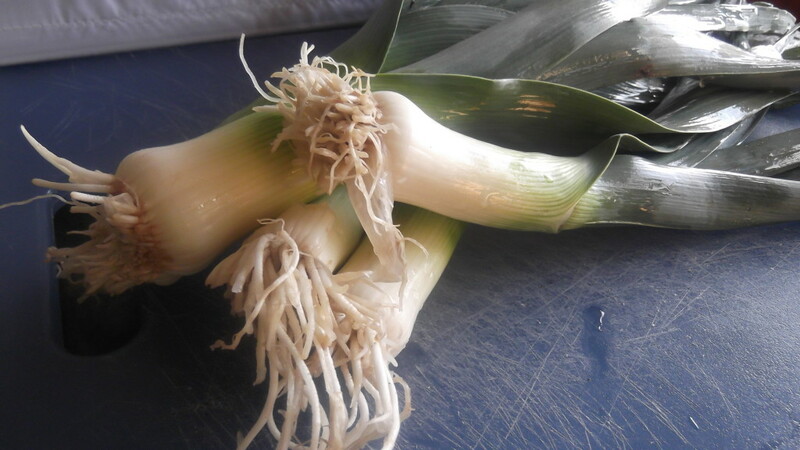 Beautiful leeks ready for chopping! 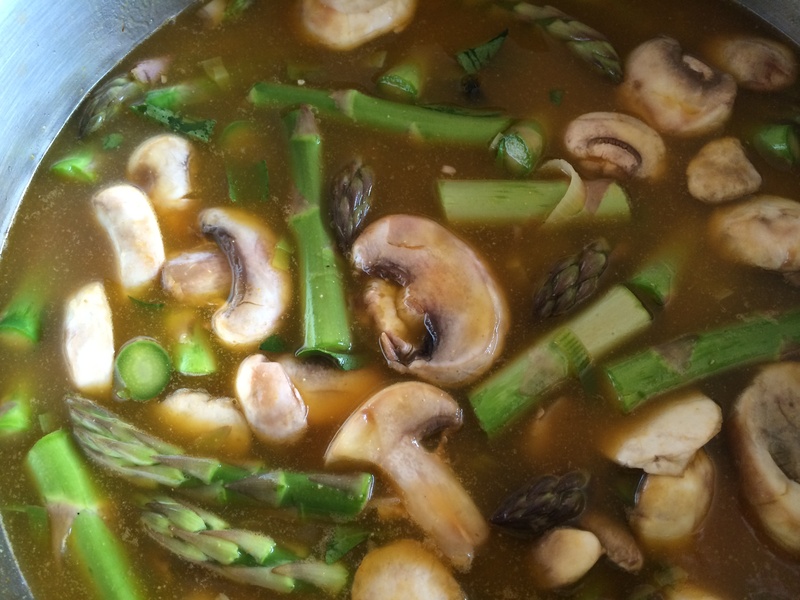 Asparagus, mushrooms and leeks cooking in broth. before to rave reviews so I felt fairly confident it would be enjoyed. Also, the grocery stores are loaded with fresh asparagus and I love to take advantage of seasonal produce! Add the leeks, mushrooms and asparagus. Add the broth, tarragon, cumin and salt and pepper. In a food processor or Vitamix, mix together cashews and water until smooth. Stir mixture and lemon juice into the soup. Return to full temperature and then enjoy. This recipe is extremely quick and yummy! Read on to see all the amazing benefits of eating this whole foods, vegan soup. Asparagus is a very good source of fiber, folate, vitamins A, C, E and K, as well as chromium, a trace mineral that enhances the ability of insulin to transport glucose from the bloodstream into cells. Asparagus is an excellent source of glutathione, a detoxifying anti-oxidant that helps protect the liver and helps break down carcinogens and other harmful compounds like free radicals. With its anti-inflammatory and antioxidant properties, asparagus is a robust fighter against bladder, breast, colon, lung, prostate, ovarian and other cancers. Inulin, a carbohydrate in asparagus, encourages the growth of Bifidobacteria and Lactobacilli, two bacteria that boost nutrient absorption, lower the risk of allergy and colon cancer, and help prevent unfriendly bacteria from taking hold in our intestinal tract. 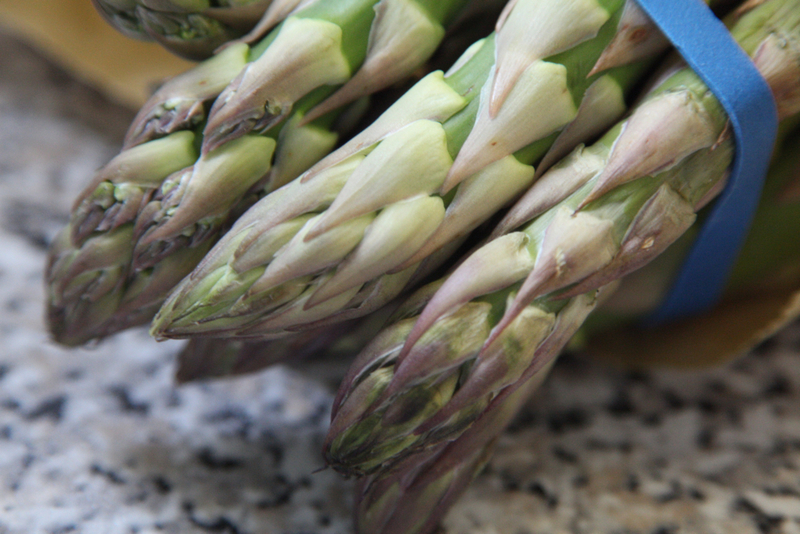 Furthermore, one cup of asparagus contains over 11% of the RDA of dietary fiber and almost 10% of the RDA of protein. 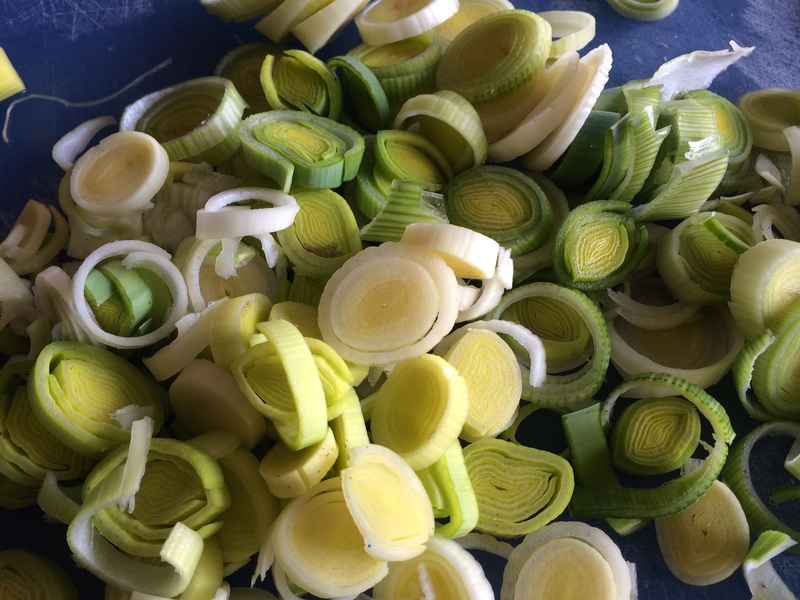 Leeks are a potent source of vitamin A, vitamin C, vitamin B6, folate, iron and manganese and vitamin K. Consume leeks as a source of lutein and zeaxanthin. These compounds contribute to healthy eyesight. They protect your eye tissues from oxidative damage — harmful oxidation of your DNA and cell membranes — by filtering out harmful light rays as they enter your eye. Crimini mushrooms are also a good source of B vitamins (vitamin B1, vitamin B2, B3 and B5), pantothenic acid and niacin. Cremini mushrooms also contain the amino acid tryptophan, the anti-oxidant L-ergothioneine and CLA (conjugated-linoleic acid) which helps to ward off the growth of breast cancer cells. Crimini mushrooms are an excellent source of selenium, which helps to fight cancer. Other minerals in crimini mushrooms are copper, potassium, phosphorus and zinc. Potassium is the mineral best known for bringing down your blood pressure and reducing your risk of stroke. Cashews are an excellent source of monounsaturated fats and copper as well as magnesium and phosphorus. Seventy-five percent of the monounsaturated fats in cashews are in the form of oleic acid, the same fat found in olive oil. These fats promote heart health. Copper is an essential nutrient found in high doses in cashews and is necessary in iron utilization, elimination of free radicals and the development of bone and connective tissues. Magnesium in cashews is good for bone structure and health. It helps to balance calcium usage and regulates muscle and nerve tissue. Who would have guessed that all these health benefits could be packed into a simple bowl of soup? So eat up and enjoy!! This post is included on the Link party at Richly Rooted, Skip to My Lou, Urban Naturale, Gluten Free Homemaker, Real Food Forager, Nourishing Gourmet and Simple Lives Thursdays. This sounds divine. Cashews and asparagus – yum! Love that it is a quick meal. Thanks for sharing on Gluten Free Wednesdays. What an amazingly appealing blog post! Your photos are so mouthwatering and the recipe is divine! 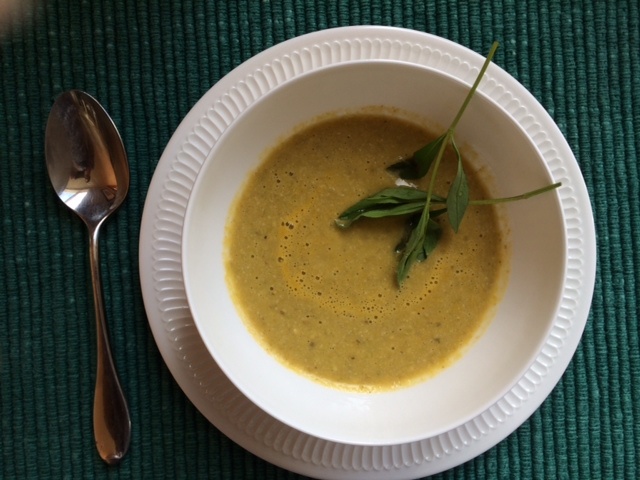 I just made a creamy vegan soup today for lunch and I have been munching on roasted asparagus spears this week, so I was immediately attracted to your creamy asparagus soup. Thank you so much for sharing this nourishing and delicious recipe on the Healthy, Happy, Green & Natural Blog Hop! I appreciate it!